A majority of homes in the U.S. have a roof made of asphalt shingles. It is the leading product used in residential homes. However, it’s not simply a layer of asphalt. The shingles undergo a special process before they can be used. As a roofing and siding contractor, Custom Installations Inc. explains how asphalt shingles are manufactured. Asphalt shingles are specially made to be flexible, durable and beautiful. That’s why they have specific compositions to achieve these properties. Base – The base is the layer where all the other components are attached. Depending on the manufacturer, it could be made of organic fibers or fiberglass. Asphalt – Asphalt is added to the base to act as a shield. It protects the shingle from weather damage. Granules – Granules top the shingles. They’re there to help the shingles resist sunlight. Shingle granules comes in different colors, so they also determine the look of your roof. Adhesive – The final piece is an adhesive strip or adhesive spots that attach the shingle to the roof. First Loop – The base is fed through a looper wheel. This flattens it into an accordion-like mat. It is then dried to remove any moisture. Afterwards, it is saturated in asphalt. Second Loop and Coat – From the saturator, it is fed through a second looper to be properly spread out. When that’s done, coats of asphalt are applied to fill the gaps and cover the entire surface. Final Surfacing – A second coat made of ceramic granules covers the mat to give it color. After that, a third looper flattens the entire shingle. Finishing – Once the final layer is added, the shingles go to a final looper to cool down. The material is then cut into pieces, and stacked together in bundles. Once your shingles are done, they are packaged and sent to companies and retail stores to be sold. At Custom Installations Inc., we make sure to use the best material for our services. 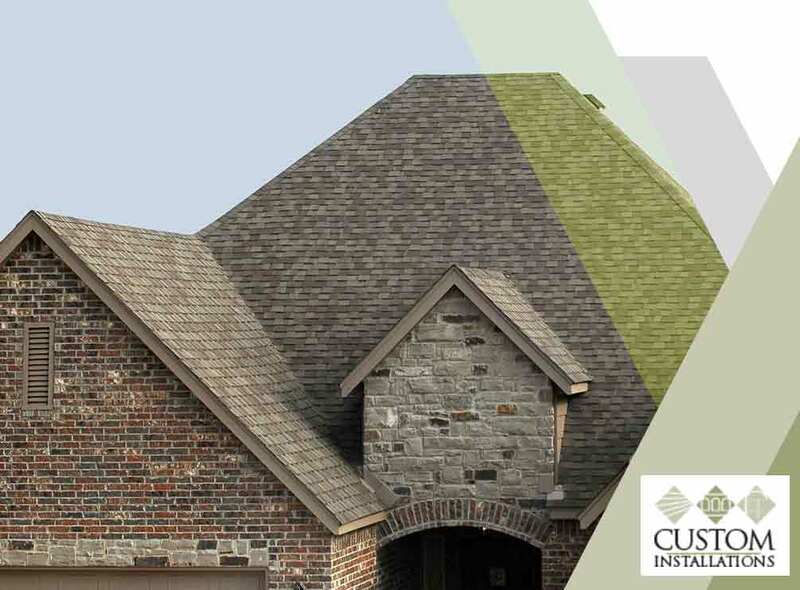 We make sure each asphalt shingle comes from the best manufacturers, such as CertainTeed®. We also offer other high-quality materials, including metal roofing. When you need the best shingles, you can look to us for help. Call us today at (847) 979-5522 or use this form to contact us. We serve residents of Lake Forest, IL, and surrounding communities.